We all have our favourite places to go. 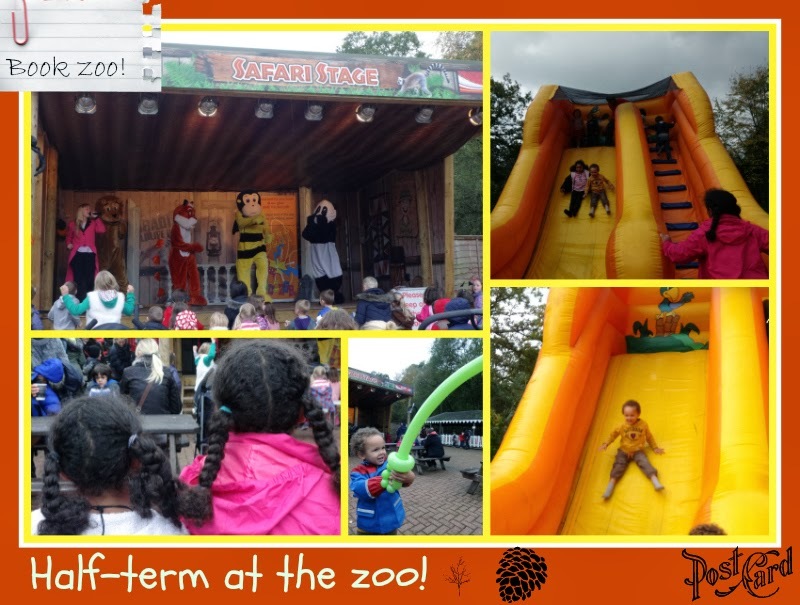 Ours is Paradise Wildlife Park and I thought I would tell you WHY! As adults, we often like to see impressive animals, like elephants and giraffes - both of which PWP do not have. BUT, children, and us if we get in touch with our inner child, can take joy in EVERY type of animal. Yesterday, as above I got to see the goats, through the eyes of my niece. She spent a full £1 bag of food, on just them! That is her pink arm - it's her sister next to Aaron, bottom left. As you can see, she had the goats eating out of the palm of her hand. A couple of siblings (kid goats) were so jealous for her attention, they got up on their hind legs and literally LOCKED HORNS!!! I was so captivated with the theatre scene they created I did not photograph or video the locking of horns but I did, as above, capture them on their hind legs. They were adorable, and no wonder, during our debrief it was listed as being my niece's favourite part of the day. You can read more about the goats here: paradise wildlife park, farmyard animals, goats. 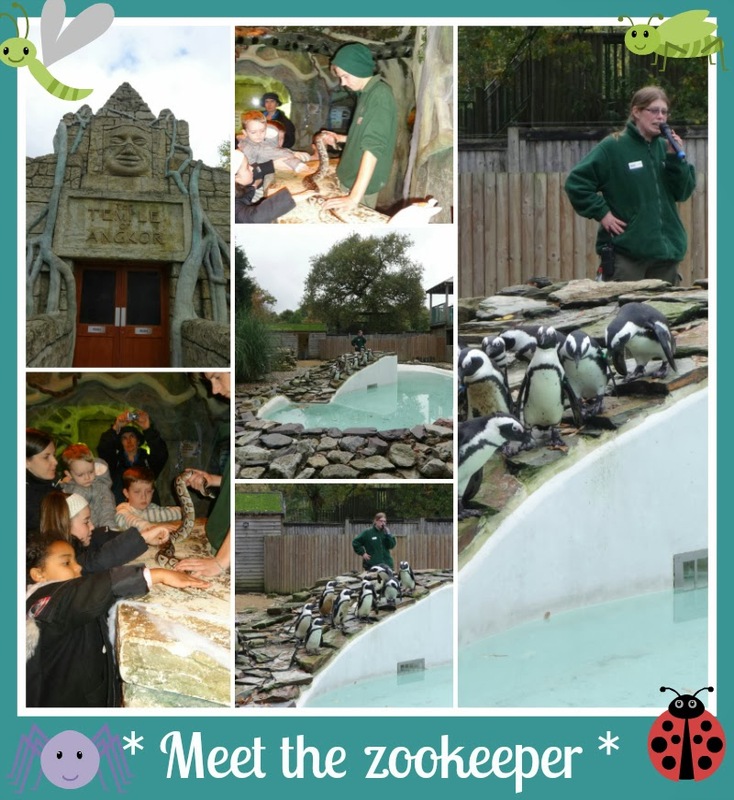 The great thing about Paradise Wildlife Park is that they have many "meet the zookeeper sessions" - perfect for animal lovers who want to know more! Normally when I am there, I am too disorganised to be in the right place at the right time, but this time we met the zookeeper in the reptile area (The Temple of Angkor - top left corner photo below) AND at the penquins. I must admit, on a previous visit, I did a LONG video of the big cats being fed, so I have attended at least one meet the zookeeper session in the past. I MUST upload that video! Both my nieces and my nephew touched the snakes. The lady zookeeper at the penquins was so knowledgeable I could have listened to her for hours. All of the zoo staff are so passionate, it's infectious. We went up to the balcony to oversee the penquins and Aaron put his hand up to ask a question, but he was too short to be seen. With it being half-term there were lots of kids there and they all got their questions answered, including my niece who asked "why are their nesting boxes camouflaged?" to which the answer was "to make them look pretty for you our customers!" You are able to meet our keepers at different animal enclosures throughout the day to hear interesting facts and information. You can even watch at feeding time too! Meet the Keeper talks and animal feeding times are every 15 minutes from 10.45am to 5.00pm. Source: meet the keeper talks! Even little ones enjoy the talks. Now that Aaron is nearly three and a half he actually stands and listens. It means we are re-discovering the zoo now, like a new layer. We find a new element in the zoo, like another layer of an onion, every time we go. 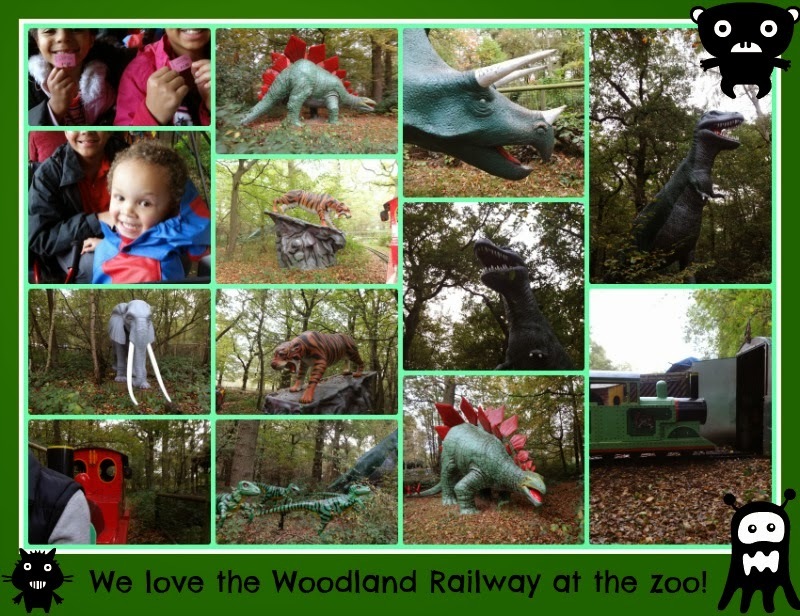 I do have a fab video of the train ride - another thing I simply must upload. 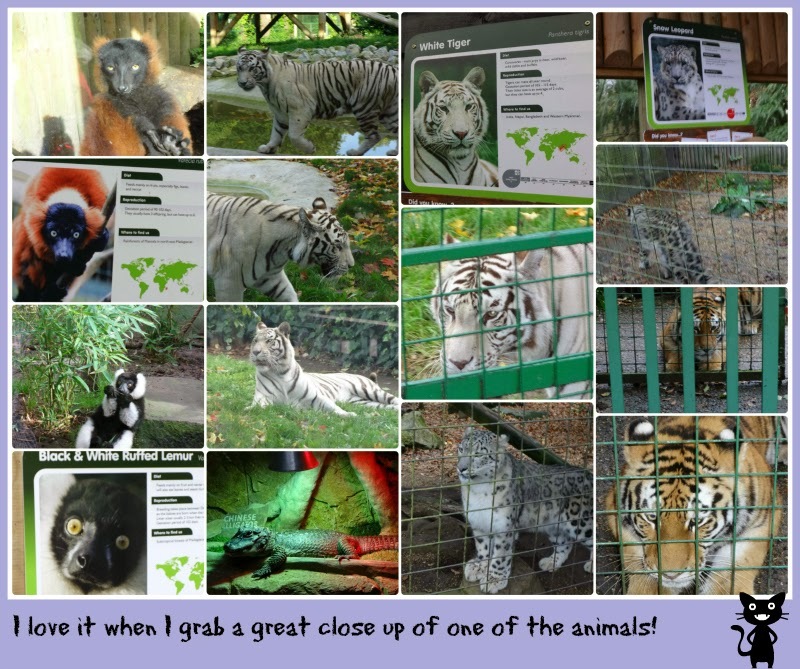 I am a bit of a scaredy cat (considering they have so many big cats, forgive the pun) so I don't think I will be booking an "experience" any time soon, but if you would like to, have a look here at what is available: Paradise Wildlife Park is the leading animal experiences attraction in Europe! I have not finished this post, but I am tired and we have an early start tomorrow. I will finish it tomorrow night - I am making it live as I am too excited about it not too! What a lot of pics! I love the ones of the two little goats that look like they are dancing! 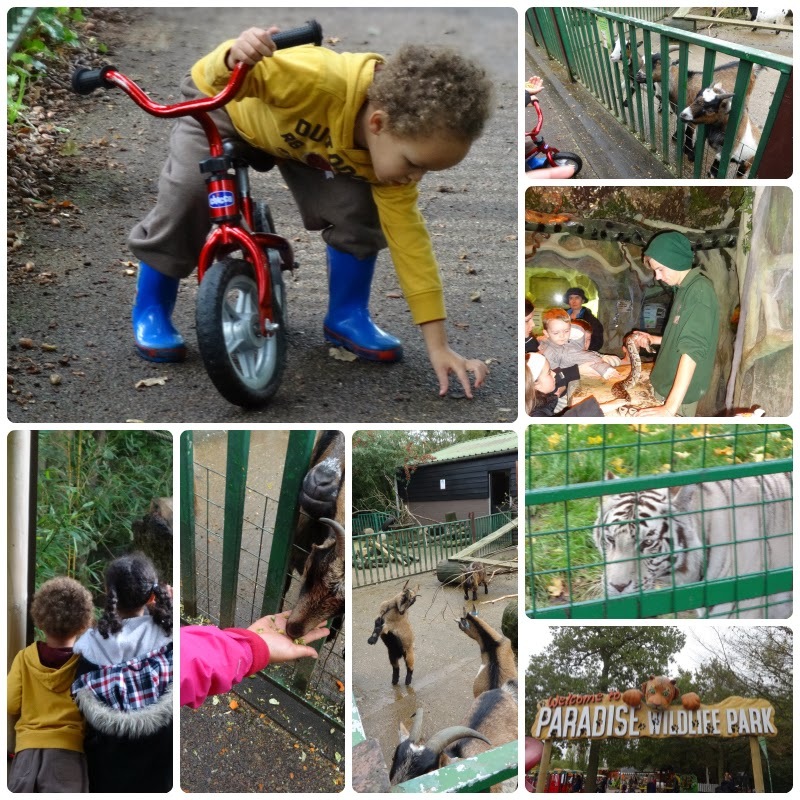 Paradise Wildlife park is my favourite place to take my grandchildren. I have membership for 9 of them and 3 friends but its worth every penny. There's always something to do. I especially love the soft play after as I get to chill with a nice cappuccino while they tire themselves out.